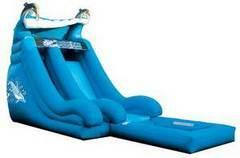 Are you in search of different options for Inflatable Slide Rentals in or around Fox Lake, IL? 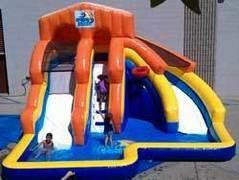 Possibly a Water Slide Rental for a Backyard Birthday Party, or maybe even a Large City Event? 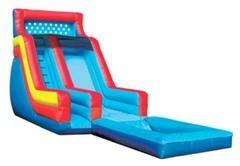 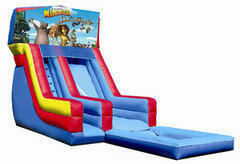 How about an Inflatable Dry Slide Rental for a School Fun Fair? 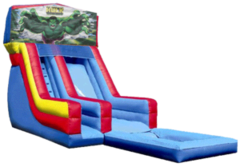 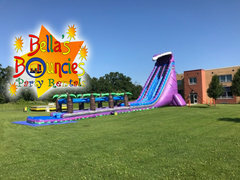 With the LARGEST inventory of Inflatable Water Slides and Inflatable Dry Slides in Northern Illinois and Southeast Wisconsin, Bella's Bouncies is sure to have an Inflatable Slide Rental that will meet your Party Rental needs and expectations. A perfect way to entertain a group of little ones that would have nothing short of a BLAST, with a small Water Slide Rental for a day of water fun in the sun. 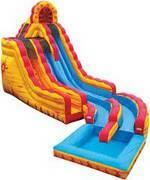 For just that, check out Bella's Bouncies Splash Island Slide. On the other hand throwing a HUGE Party and trying to outdo your neighbor or maybe a sibling, check out our 27' Purple Crush or The Slingshot. 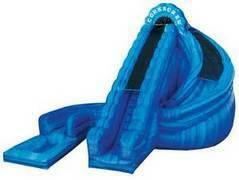 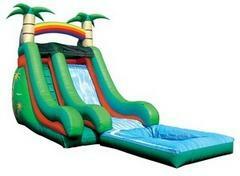 We also have many other Wet or Dry Inflatable Slide Rentals to choose from as well. Including several Character Themed Slides such as; Mickey Mouse Slides, Disney Princess Slides, Sponge Bob Slides, Incredibles Slides, and a Batman Slide. 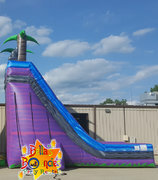 We also offer many other Generalized Themes as well, such as; Tropical Palm Tree Slides, Dolphin Splash Down Slides, and The Big Kahuna Slide. CLICK on the image of any one of our Inflatable Slide Rentals shown below to preview additional images, videos, and/or to read more information about each individual Inflatable Slide. and to make a reservation. 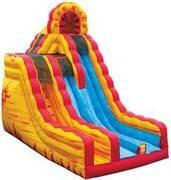 The prices provided on the Inflatable Slide Rentals shown below are based upon a 6 to 8 hour Party Rental time frame. Additional information regarding Party Rental time frames, as well as, additional Company Policies can be found on our FAQ's page. 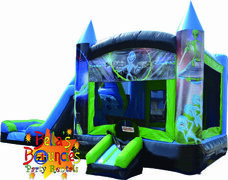 Additional delivery rates and/or fees may possibly apply to your local area. 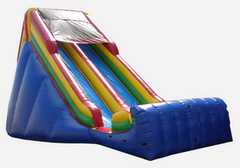 Check out our Service Areas page for a complete list of delivery cities and the delivery fees. Still have un answered questions? Give us a call at (847) 546-7000 and speak with one of our friendly reservation experts.